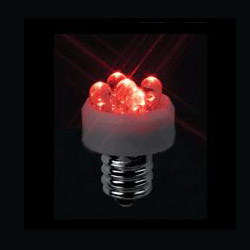 Made up of five bright LED and a holder giving out red light, installed in various vehicles as indicator light. 1. Emitting color: super red. 3. Totality luminous intensity: 35. 4. Single LED axial intensity: 5500.